ALMOST INVISIBLE CAT LITTER – Great Price, No Smell, Long Lasting! - Petpav - Your Online Magazine for All Things Pet! ALMOST INVISIBLE CAT LITTER – Great Price, No Smell, Long Lasting! As any cat owner knows, the worst part of owning a cat is that horrible litter box smell! Let’s be honest, the smell that comes from your litter box can permeate your entire home. And cleaning up the litter box is no fun at all and who wants to carry those heavy litter packages?! Well, your cat litter ‘nightmares’ are over when you switch your cat’s litter to Almost Invisible Cat Litter! Almost Invisible Cat Litter will keep your home odor free! If you have ever bought those ‘other cat litter products’ that doesn’t work quite right and you can’t get the cat box smell or urine odor out of the house, Almost Invisible Cat Litter will be your dream come true. There really is NO ODOR at all and you sometimes forget you have a litter box! In fact, they GUARANTEE that your home will be completely odor free from ‘that cat smell’ for more than 3 – 4 weeks if you only have one cat, 10 – 15 days with two cats, etc. Almost Invisible Cat Litter, which is also known as the ‘white litter’ uses a uniquely condensed silica gel, that has a texture and feel similar to natural sand and cats instinctively want to use this type of litter (rather than not using the litter box). 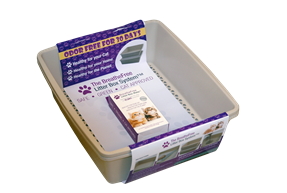 Their litter is incredibly absorbent and liquids will not immediately seep down to the bottom of the tray where bacteria will start to grow. Don’t you hate it when your cat leaves litter tracking all over your house? Well, Almost Invisible Cat Litter is virtually dust free and your cats will not leave footprints throughout your home. The miniscule amount of litter granules leaving the tray can be quickly vacuumed or swept up unlike those ‘other cat litter products’ that gets stuck in your carpet and dust up your floors. All you need to use is 1” of Almost Invisible Cat Litter per session and it lasts much longer than other litters on the market! Almost Invisible Cat Litter has one of the lowest costs of use among cat litter products on the market, in addition to being the most odor-free. Their litter will keep your home and litter tray totally odor free longer than any other litter and requires changing less often. Your monthly cost of Almost Invisible Cat Litter is less than $10 per month per cat. The average person spends around $15.00 on the ‘other cat litter products’. Almost Invisible Cat Litter is eco-friendly!!! Almost Invisible Cat Litter is safe for the environment as they use materials that can act as a fertilizer for bushes and shrubs. Your garden will actually thrive if you sprinkle your used cat litter on it. And, if you get rid of your used cat litter in the trash, Almost Invisible Cat Litter also offers *IT HAPPENS Biodegradable Animal Waste Bags which are eco-friendly! 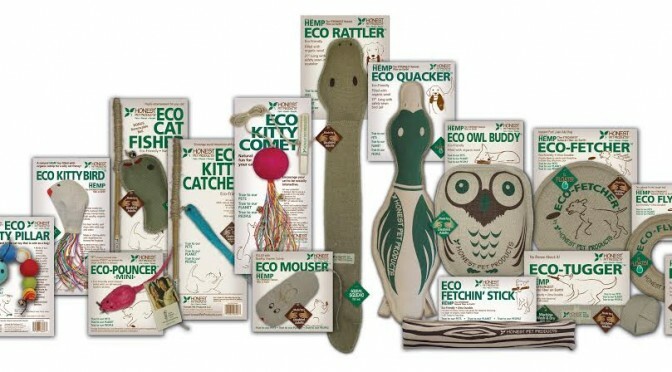 You can feel great about being an environmentally responsible pet owner!